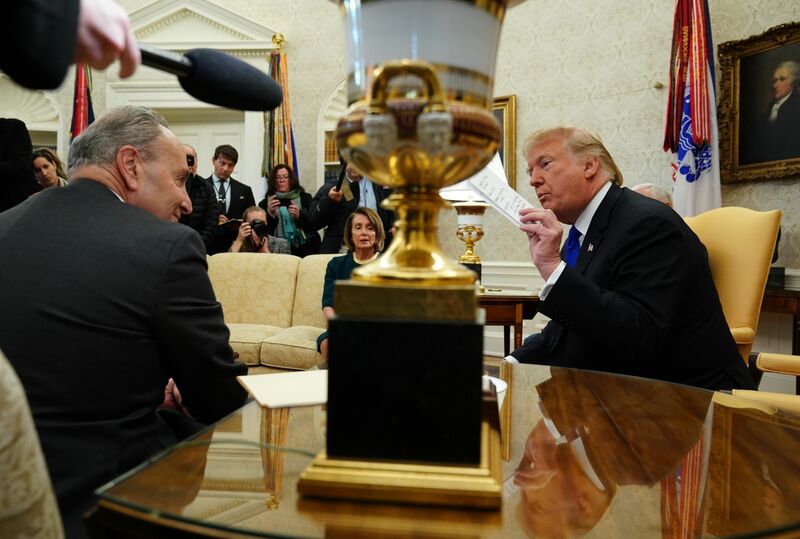 I was standing in the Oval Office and watched Chuck Schumer and Nancy Pelosi give each other non-verbal cues the entire time and not give eye contact to the president. They played off each other. What they did when the president said, ‘We’ll have the conversation in a transparent way with all the world to see,’ they didn’t like that or want that … They prefer smoke-filled, back rooms to cut deals that hurt the American people. The pair of lawmakers said after the meeting that they had no intention of meeting Trump’s demands and told him they would only offer him the option of passing existing levels of funding for the Department of Homeland Security. Schumer and Pelosi both said Trump would be to blame for any potential government shutdown. The deadline for spending is Dec. 21, though there have been no current breakthroughs on negotiations.